There may not be many things unite Norfolk in Great Britain and Norfolk in Virginia but water is one of them. In England it is the Broads and in Virginia there is the chance to sail on a Tall Sailing Ship, The American Rover. It has become a common sight for people in downtown Norfolk and they are well used to seeing the red sails as the cruises leave from the waterside and takes passengers for a journey that will show them the beauty of Norfolk. 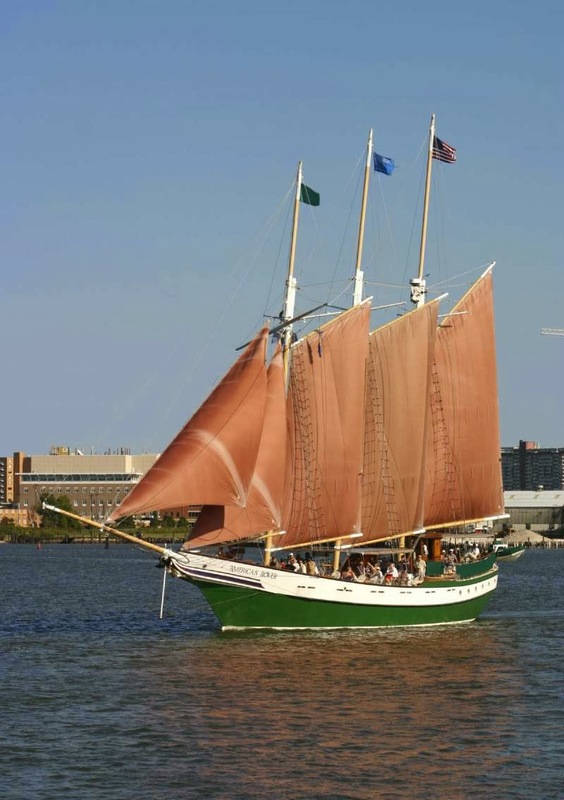 The journeys have been taking place since 1986 and if you are in the area between April and October there will be the chance to see her or travel on her as she glides through the water allowing visitors a stunning view from the Elizabeth River. Tours are narrated so as well as seeing the amazing sights it is possible to get a history lesson. Cruisers are given the chance to work on the sails and the very lucky ones get their turn at the helm. If 2 hours is not long enough it is possible to hire the ship out for a special event. It could be a wedding or a corporate event it does not matter, the main thing is that the event will be fully organised and all the pressure will have been taken off the host. Everything will be fully provided even the catering bar and any entertainment that may be required. It is a glamorous ship and guests will remember their journey for a long time. The ship is an impressive 135 feet long and is registered as a three masted top sail schooner. She is large enough for most events as there can be 129 people on board and there is a variety of places to sit – some in the shade, some can sit inside and enjoy a drink at the air conditioned bar. The trip is well known and very popular so if you are only in the area for a while it will be best to book and make sure that you get a place. There have been some issues for different forms of water recreation recently and most of them have been around safety. This is not going to be a problem here as there is a Coast Guard Certificate attached to the American Rover and regular checks ensure that passengers are safe. One of the most spectacular sights will be the Norfolk Harbour and the Portsmouth Skylines are not to be missed. The Battleship Wisconsin is clearly visible and there are also Naval Ships and elegant yachts and seeing them will certainly show you how the other half lives.. If you look out at the right time you may be lucky enough to see a dolphin swimming by. Patrick Armstrong is the writer of this exciting post. He is a business consultant, a travel enthusiast and a serial blogger. He says even though he has been to many fun cruises in the past, he still gets excited about them.